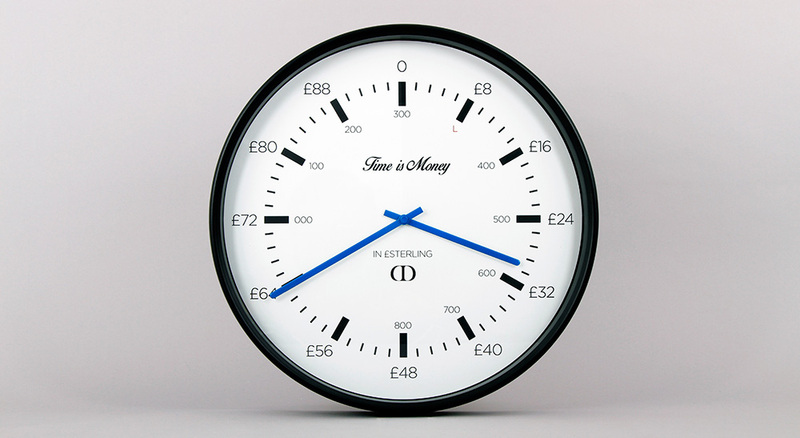 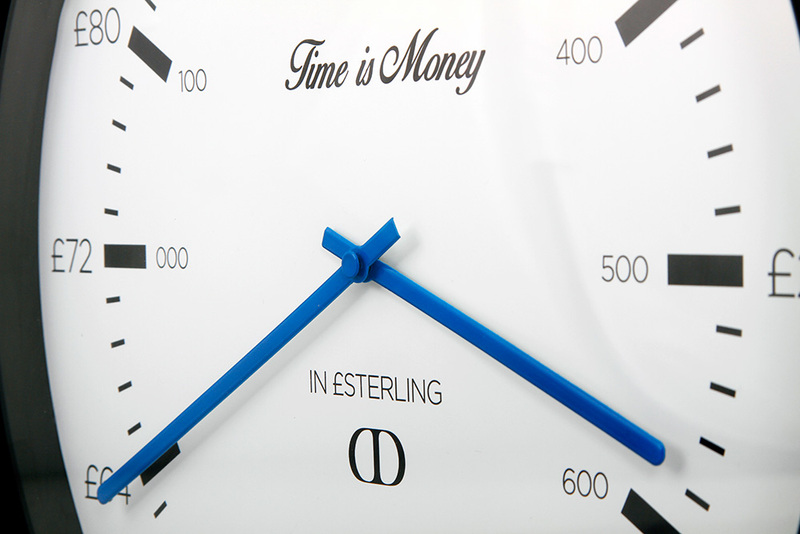 'Time is Money' is a gift to project managers struggling to cope with meandering creatives. 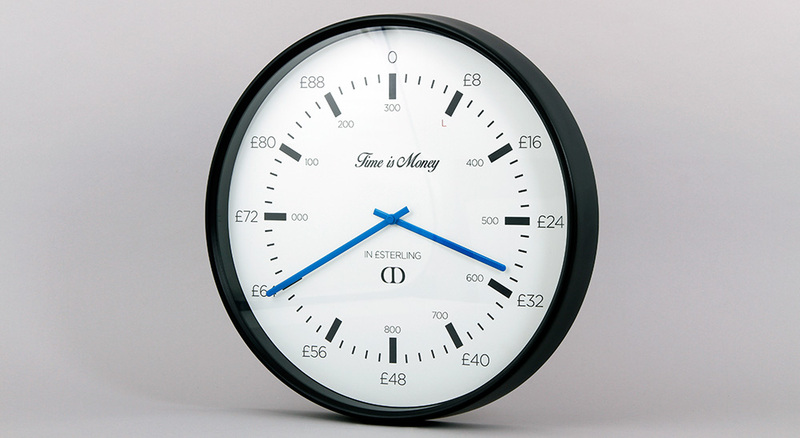 The clock provides a gentle reminder that whilst ideating and being creative are very important there is also a cost attached to the time they spend. The main set of numbers divides their hourly rate into 5 minute chunks while the inner set divides their day rate into hourly chunks and includes a lunch break.The clock can be adapted to cover different day rates and currencies.